I still going through the painful arm (read here if you missed) at night and the muscle spasm have formed well on the upper arm and it’s taking time to heal. 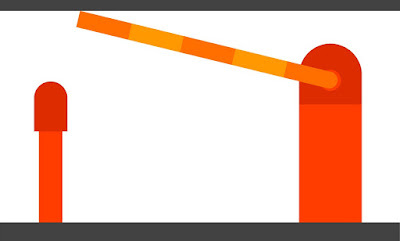 Being a muscular dystrophy, with weaker muscles, an extension in healing is no wonder. But I could feel better than earlier and still shifting positions kicks pain and I continue to ice and heat therapy. 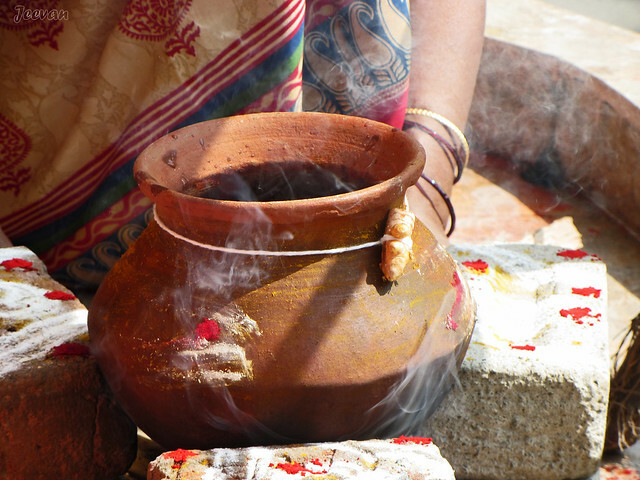 In between we had a far better Pongal and after 2010 we got to celebrate Pongal along with our uncle’s family who lives adjacent and the extended balcony (for my wheelchair movement) has gave enough space to lit firewood stove and Pongal was cooked in mud pot. 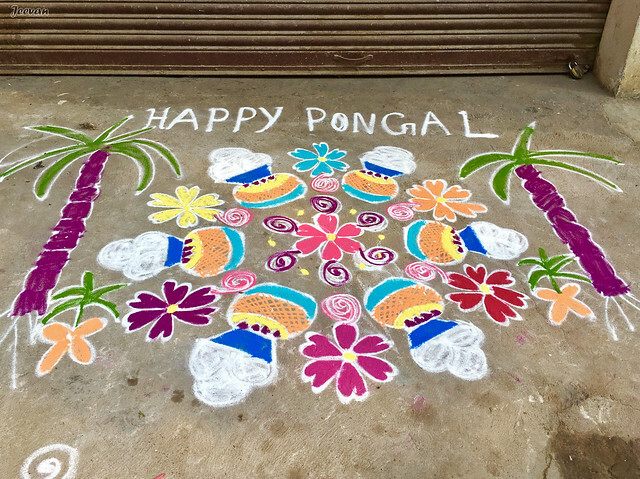 Pongal is a harvesting festival of Tamil and thanksgiving to nature that nurture our lives and making Pongal in open space means dedicate to the prime natural source Sun and make thought the year become all success and happier. 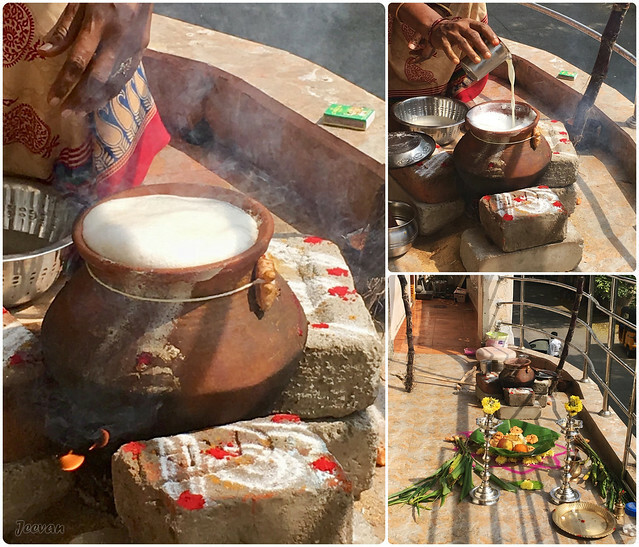 The weather is pretty cool all these days and the sun is bright enough to balance the heat and the Pongal was cooked despite the warm sunlight that kept producing heat. 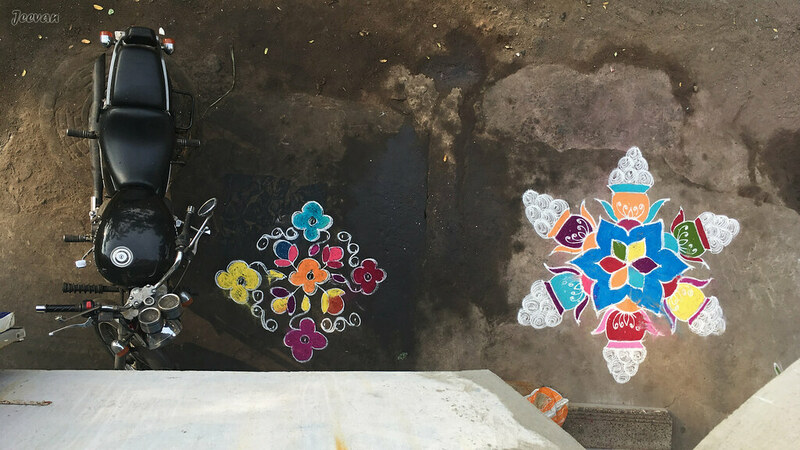 The night before Pongal, mom and aunt got their hands on beautifying our front yard or the space between the road and our house and both made two colourful Kolams aka Rangoli using colour powders. First time mom took effort to draw a big Kolam after her surgery in May, though it is a simple kolam for her but just put this effort for me as I love kolams. Every year she used to draw Pongal Kolam and adds colors according to the design and this time along with the aunt they turned more colourful the way it used to be. Other than paying homage to nature esp. 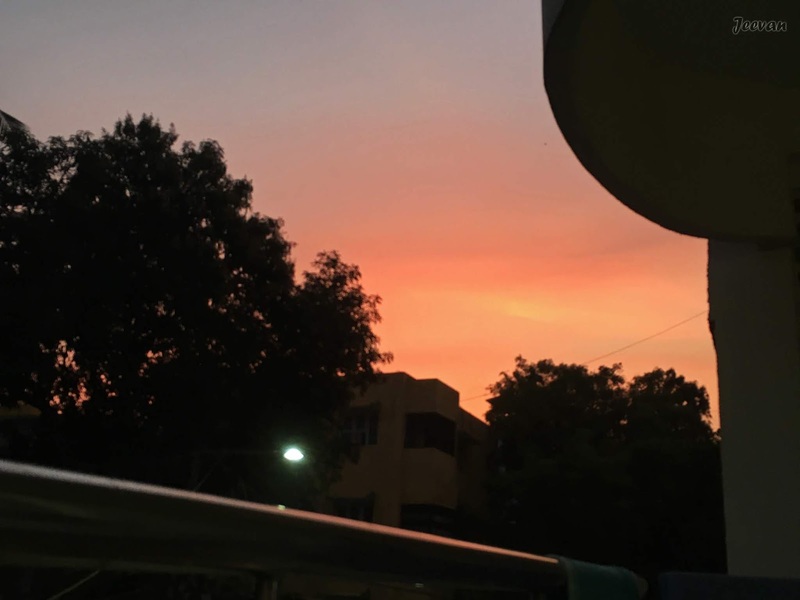 the sun, and making Pongal on the balcony the days were spent mostly on TV and i went around our streets in the evening to check neighbours Kolam but to my disappointment most of them had drawn small Kolam or design which I would sharing in another post. Hope you liked our celebration.